Can my rubber fill hoses ever burst? The water fill valve - The water fill valve is a mechanical and electrical part, the coils on the valve need electricity to mechanically open the valve to allow the water to flow into the washer....myth....the washer pumps water into itself...no, it does not. 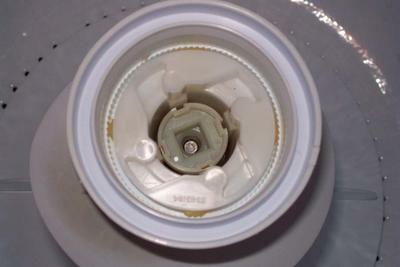 The fill valve opens and the house water pressure pushes the water into the washing machine. The fill valve has two coils, one for the hot water and one for the cold water. 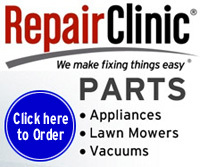 It is possible that one of the coils can fail and you loose that filling ability. If the cold water coil quits, the hot will still work and during warm fill you will get hot water only and during a cold fill you will get no water at all. If the hot coils quits, you will still have cold water fill, cold water only on a warm setting and no water on a hot fill setting. You can No cold water or no hot water - The fill valve has two coils, one for the hot water and one for the cold water. It is possible that one of the coils can fail and you loose that filling ability. If the cold water coil quits, the hot will still work and during warm fill you will get hot water only and during a cold fill you will get no water at all. If the hot coils quits, you will still have cold water fill, cold water only on a warm setting and no water on a hot fill setting. 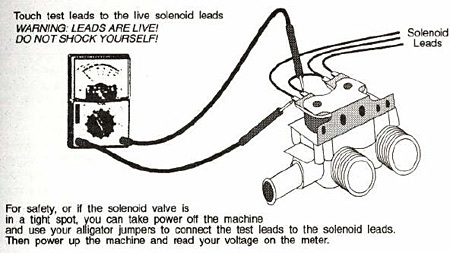 You can test a fill valve live for 120 volts, power to a fill valve coil and no fill = a bad fill valve. You can also test the coils for continuity, no continuity = a bad fill valve. Some Maytag washers have a fuse in the fill valve circuit, if this fuse let go the washer will not fill. Fill valves can also from time to time stick open and not stop filling. If you have to shut off the fill valves to stop the water from filling in the washer, you have a bad fill valve and you will have to replace it. The water level control is also know as a pressure switch, this is where you set the water level ( small - medium - large ). The water level control is responsible to shut off the power to the fill valve and direct that power to the timer so the washing machine can start up. The WLC has electrical contacts in it that sends power to the fill valve and when the WLC is satisfied the water level is correct the electrical contacts open power to the fill valve and send the power to the timer and the washer starts. Picture of this here. How the water level control knows when it is time to shut the water off is, a air tight hose runs from the outer washer tank to the water level control. 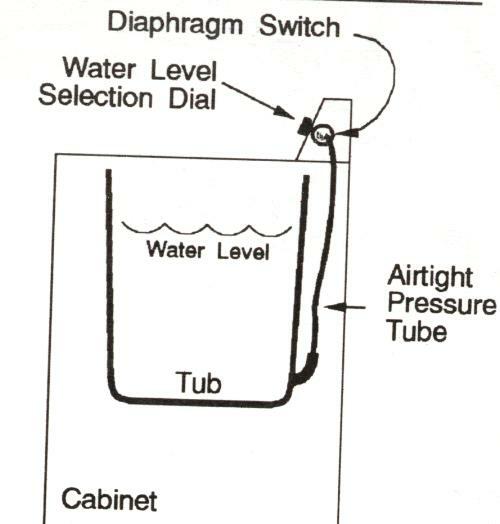 As the water fills the outer tank air is pushed up the hose, depending on which setting you have made ( small- medium - large ) is takes a certain amount of this pressure to make the WLC cycle over and shut off the water and send this power to the timer. If this hose develops a leak or a pin hole the washer can over fill as the WLC may not be able to shut the water off. The water level control can also break down and allow the washer to over fill as well. Testing a water level control or a fill valve can be done by using a ohm meter or a volt meter. If you have a loose hose on the water level control or tank end, use a plastic wire tie to help hold the hose tighter and make a tight fit. 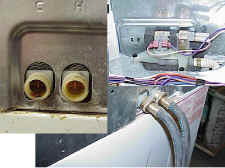 The water level tube (tube that runs from the square box), access panel on the outer drum where the bleach tube also ends) from the pressure sensor switch (front panel) can become clogged. Or the two holes from the outer tub into this square box panel on the outside of the outer tub can become clogged. Either clog, I am told by my help repair guy can cause the sensor to think that there is still too much water in the tub and so will not allow motor to activate spin. If the water level control contact is bad, it may also stop the filling ok, but not tell the washer to start agitating. 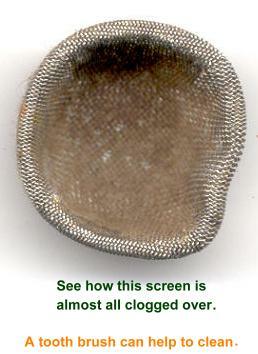 A fill valve has screens built into it to prevent sediment from entering the fill valve. Sometimes these screens can get plugged and will need to be cleaned out with a old tooth brush. Just shut off the water, remove the hot and cold fill hoses and clean out the screens on the entrance of the fill valve. When ever possible, you should try not to remove the screens from inside the fill valve entrance. The screens are in the entrance of the fill valve. If the screens are just too clogged or if you have removed them, install new screen-washers in the fill hose end to prevent junk from getting inside the fill valve. If all attempts to clean the fill valve has not helped the fill pressure. Sometimes the fill valve can be damaged and this is why it won't fill as fast as it used to, you may have to replace the fill valve. My washer slowly fills with water even will I am not using it, or my washer drips water inside the washer all the time... This is often, if not all the time, a faulty fill valve, the fill valve has mechanically stuck open and is not fully shutting off when not the washer is not in use. This normally will become worse and could flood over the top of the washer = big mess .... replace the fill valve. The fill valve is the part the hot and cold water hoses are attached to. There are many different styles of washers and agitators. I have some picture of a few common makes and the agitators and description on how they come off. 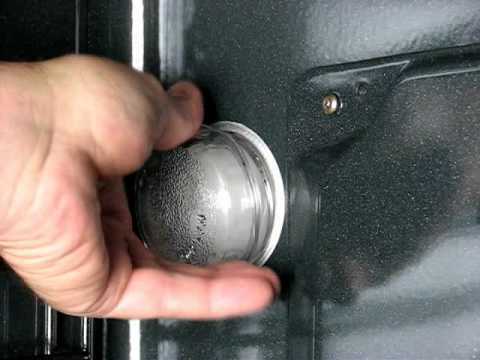 Please remember that the water, soap and chemicals sometimes "freezes" the agitator on the washer shaft or hub and makes if very difficult to remove it. Service technicians often have a special tool to help remove "stuck" on agitators. Remove agitator cap by pulling it off and look for a bolt, remove the bolt and pull up hard on the agitator. ( not all have a bolt ) ...picture. I use a old dryer belt or rope to help remove the agitator, hook the rope/belt under the lower agitator fins and make the loops to the top, use a board to help "pop" up the agitator, lift up on the side of the board that is sticking out further...picture. Whirlpool, Inglis, (some) Kenmore washer..... Remove the agitator cap, some caps unscrew and some will just pull off. Look for a bolt and remove the bolt, lift up on the agitator...picture1, picture2. Whirlpool, Inglis, (some) Kenmore washer.....Remove the agitator cap, some caps unscrew and some will just pull off. Look for a plastic bolt and remove the bolt, the plastic bold will have a square in the middle that the square end of the shaft of an socket extension ( or a very large flat screw driver ) will fit into the square hole to unscrew the plastic nut off...remove the upper 1/2 of the agitator....remove the bolt holding down the bottom 1/2 of the agitator, lift up on the agitator. Locate a 1/4 inch screw on the side of the agitator, ( about 3/4 of the way down) remove this screw and lift up on the agitator...picture. Remove the cap and softener dispenser by pulling it off and locate the agitator bolt, remove bolt and lift up on the agitator...picture. Unscrew the agitator cap and bolt, lift up on the agitator...picture. Remove center cap ( this was difficult to do ) by lifting up really hard on the center tab ( I needed pliers to do this ), locate bolt and remove it and lift up on the agitator...picture. The older washers have a bolt under the cap that must be removed to remove the agitator, then grab hold of the agitator and lift up. The newer washer agitator just pulls out, remove cap, if no bolt, just grab hold and lift up hard...picture.